With American National, you get a dedicated agent ready to help you make well-informed decisions about protecting your lifestyle. I’m here with the know-how and products to make sure your family’s risks are properly managed, no matter what stage of life you are in. I’m here to listen to your concerns and help you choose coverage for everything from home, auto, collector cars and life to farms and businesses. Are you looking to own your own business? 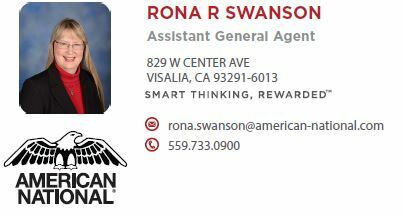 Perhaps you are questioning if your current job is the right fit for your long –term goals.If so, let’s talk about a new career as an American National insurance agent.